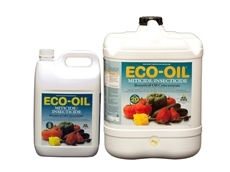 Oil based organic Miticide/ Insecticide, made from 100% Australian oils. AgSaver is an Australian owned and operated agricultural chemical supply company which prides itself on dealing directly with end users throughout Australia. 02/11/09 - Hitman Soap Insecticide from the Victorian Chemical Company contains potassium salts of fatty acids that are derived from natural oils and are known to be active against soft bodied insects and mites. 25/07/08 - Summit Agro Australia provides a wide range of fungicides, insecticides and herbicides. 24/07/08 - Summit Agro Australia offers different forms of farm chemicals including insecticides. The insecticides from Summit Agro Australia include the Alpha-C, Acclaim options, Alphasip Duo and Assign, to name a few. 23/07/08 - Summit Agro Australia specialises in offering farm chemical products. Summit Agro Australia is allied with Sipcam Australia and offers insecticides, fungicides and herbicides. The herbicides from Summit Agro Australia are available in various types. 10/07/08 - Colin Campbell (Chemicals) is an Australian company supplying high quality crop protection products and post harvest treatment products for various agricultural crops. 09/07/08 - Colin Campbell (Chemicals) provides suitable product solutions for grapevines, recreational turfs, vegetables and other agricultural crops. 08/07/08 - Colin Campbell (Chemicals) provides a range of horticulture products including Apollo Miticide, Armobreak and many more that protect agricultural crops. 04/07/08 - Operating from its Hawkesbury campus at the University of Western Sydney, Beneficial Bug Co offers biological agents such as Monty, in order to control thrips. 04/07/08 - Biological Services offers a range of biocontrol agents including Hypoaspis, Cucumeris and Aphytis to control insects, mites and pests in horticultural crops. 03/07/08 - Beneficial Bug Co specialises in offering persimilis, predator of mite as biological control agent for spider mites. 03/07/08 - Biological Services specialises in mite and insect parasites and predators for pest control in horticultural units.